The Small Steel Elias Spaulders are the ideal choice for your next LARP battle, as they provide protection without inhibiting your range of motion. The shoulder armour possesses a bright metal finish that goes well with knight ensembles. The steel spaulders can be affixed to neck armour like the Steel Elias Gorget (MY100056) by buckled straps. 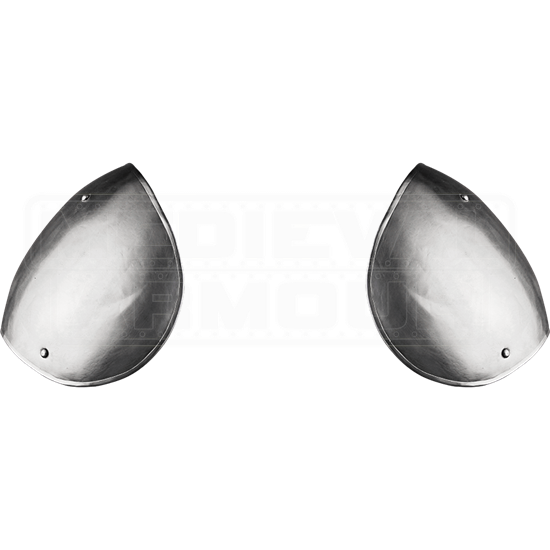 Create an entire set of Elias warrior armour by pairing this small shoulder protection with other pieces of plate body armour that we offer. 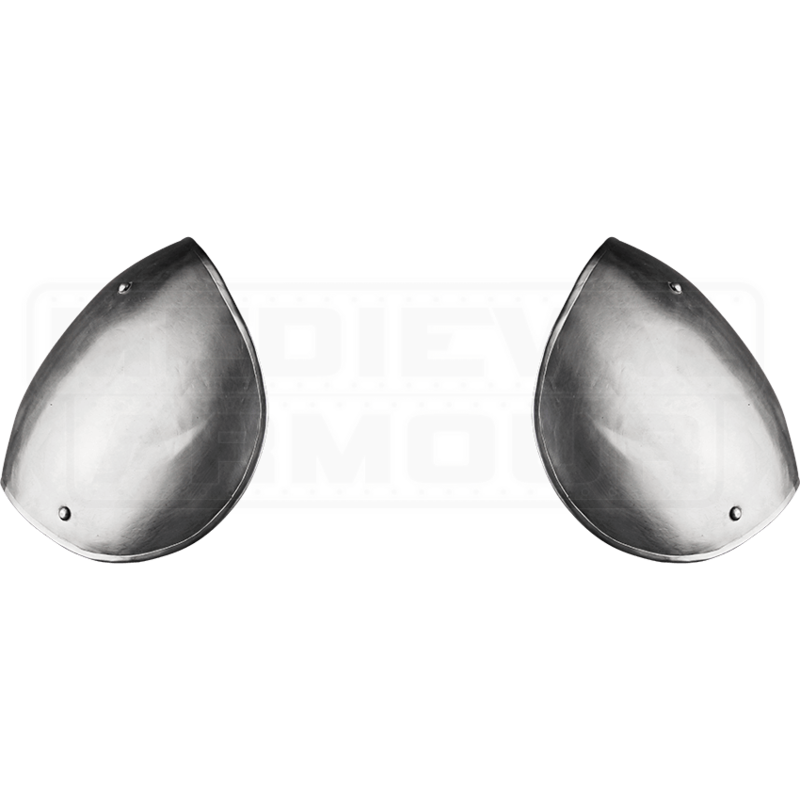 We recommend wearing a gambeson or other padded arming wear with these metal spaulders for increased comfort. Please note that this item must be worn with a gorget.